I am delighted to introduce my very first guest blogger of 2015 today! Please welcome my fellow Accent author, the lovely Helena Fairfax. A new year is the time when most of us try to make some sort of improvement to our lives. The month of January takes its name from the Roman god Janus, who was the god of new beginnings and transitions. January is a time of year I usually love, as it means a feeling of being “cleansed” and ready to start life afresh with a clean slate. For some people, though, the New Year can be a time of terrible sadness. If you’ve suffered a recent bereavement, it’s incredibly difficult to look forward with any sort of hope to the future; for the bereaved, the new year often means looking back to the past and the heartache of dwelling on times that are gone. The heroine of my latest novel, A Way from Heart to Heart, suffers the agony of loss when the husband she is devoted to is killed by a suicide bomber in Afghanistan. It’s the latest in a long line of losses for Kate Hemingway, and in an attempt to prevent further hurt, she’s developed a hard shell around herself. At the start of my story, Kate has mentally removed herself from the world around her, and her son, George, and her best friend, Orla, are the only people she allows herself to be close to. Kate spends her free time helping disadvantaged teenage girls, one of whom is a refugee from Afghanistan. I took the theme of my story from an old Afghan proverb: ‘There is a way from heart to heart.’ My story is filled with differences in culture: between town and country, between East and West, between rich and poor. And yet despite all these differences, where basic emotions are concerned, the human heart is the same the world over, with the same capacity to for love, and the same ability to endure, despite all the odds. At the core of my book is a romance, which is the story of Kate’s growing love for the hero, Paul Farrell. But A Way from Heart to Heart also deals with the love between best friends, between families, and with the intensity of teenage love. ‘There is a way from heart to heart’ is the positive, uplifting message I wanted to leave readers with at the end of my novel. I was delighted to read this five-star review on Amazon shortly after the book was released, which said, “Sad in places but lovely book.” I think that summed up what I was trying to achieve! 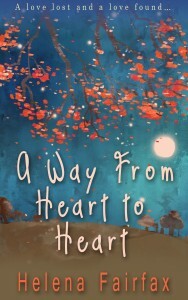 A Way from Heart to Heart was released by Accent Press on 18th November. After the death of her husband in Afghanistan, Kate Hemingway’s world collapses around her. Her free time is spent with a charity for teenage girls in London, helping them mend their broken lives – which is ironic, since her own life is fractured beyond repair. Reserved, public school journalist Paul Farrell is everything Kate and her teenage charges aren’t. But when Paul agrees to help Kate with her charity on a trip to the Yorkshire moors, he makes a stunning revelation that changes everything, and leaves Kate torn. 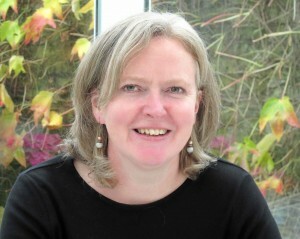 Helena Fairfax writes engaging contemporary romances with sympathetic heroines and heroes she’s secretly in love with. Happy endings are her favourite, and when the ending of one of her novels won a reader competition for “The Most Romantic Love Scene Ever” it made her day. Helena was born in Uganda and came to England as a child. She’s grown used to the cold now, and these days she lives in an old Victorian mill town in Yorkshire. After many years working in factories and dark, satanic mills, Helena has turned to writing full-time. She walks the Yorkshire moors every day with her rescue dog, finding this romantic landscape the perfect place to dream up her heroes and her happy endings. Many thanks for dropping by today Helena. Happy New Year, Helena. 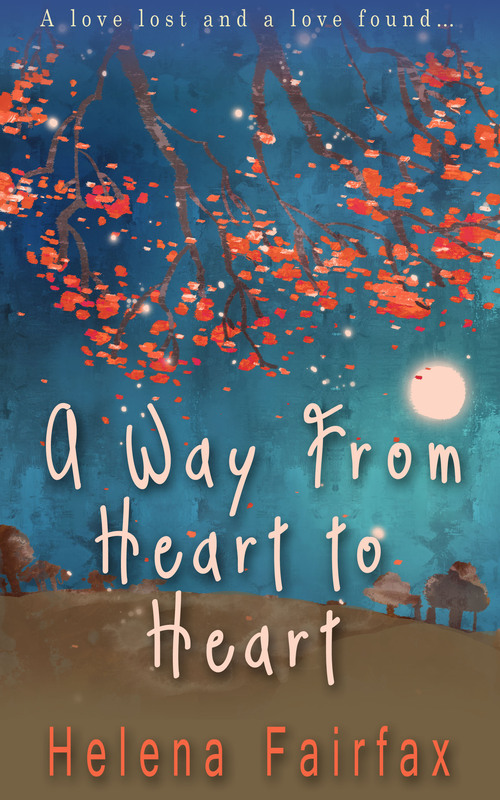 A Way from Heart to Heart sounds heartfelt and the blurb, engaging. What a lovely review of the book. All the best to you for much success. Happy New Year, Susan! I hope you had a good Christmas break. Thanks so much for dropping in, and best wishes to you for 2015!